We can only hope that top men are working on a new movie. Top. Men. 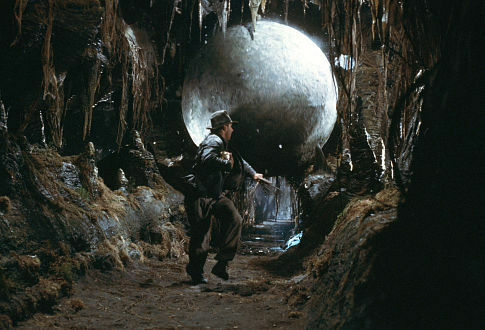 Disney has bought the distribution and marketing rights for all future movies in the Indiana Jones franchise. Under the terms of the deal, Paramount maintains distribution rights for the original trilogy, plus this other movie called Kingdom of the Crystal Skull, if anyone wants to fess up to that. Missing from the announcement is any word on a fifth movie in the Jones franchise. However, given how eagerly Disney has been announcing movies for its other George Lucas-created property, it seems a safe bet we'll be hearing more from the good doctor in some form or another.